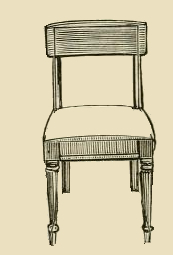 Vintage and public domain side chair drawing. With relatively simply lines, this chair drawing could be used alone or with a table or some other decorations. It has some detailing but not so much as to over complicate things.